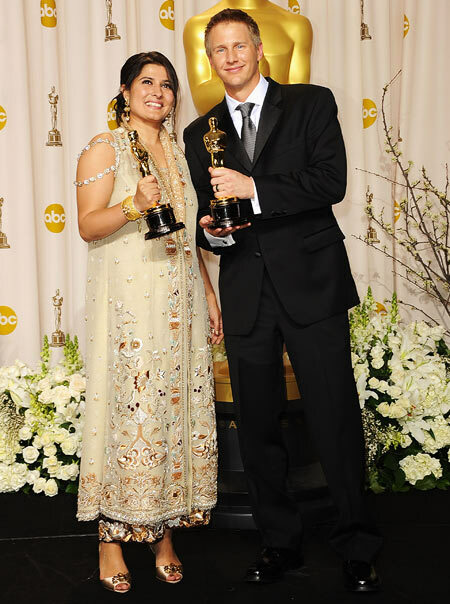 The highlight of the 84th Annual Academy Awards has to be Pakistan's first Oscar, brought home courtesy of Sharmeen Obaid Chinoy. Chinoy has the whole country brimming with pride, and with the documentary 'Saving Faces', she has highlighted an issue which needs to be tackled with utmost importance here in Pakistan, that of acid attacks on innocent women. Penelope Cruz kept it classic with her outfit on the red carpet. 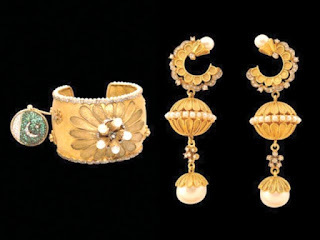 I absolutely adored her hairstyle, and her choice of jewellery kept in line with the whole classic appeal. The color of the dress could be improved on though. I loved the vibrant rich red gown worn by Emma Stone, along with her Luis Vuitton bangle and clutch. I also liked the vibrant outfit adorned by Ellie Kemper. Last but not least, is Octavia Spencer, who rightfully won 'Best Supporting Actress' for her role in 'the Help', a movie which I thoroughly enjoyed. Spencer wore a beautiful, elegant silver dress by designer Tadashi Shoji, although her choice of accessories could have been improved. Spencer has worn dresses by Shoji before, and the designer knows very well how to complement her body shape without compromising on the style level. Others who made headlines include Gwyneth Paltrow, Jennifer Lopez and Stacy Keibler. 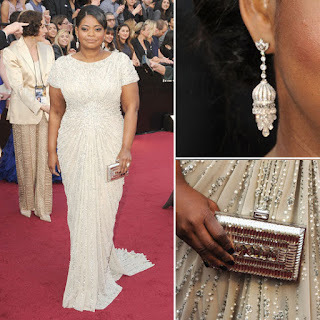 The above however, happen to be my own personal favorites in best dressed for Oscars 2012.